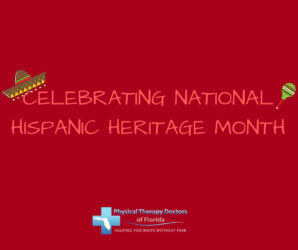 Physical Therapy Doctors of Florida proudly celebrates National Hispanic Heritage Month! National Hispanic Heritage Month runs from September 15 until October 15, and here at Physical Therapy Doctors of Florida, we are proud to honor and recognize the Hispanic and Latino community. The observation started in 1968 as Hispanic Heritage Week and the date of September 15 has been used in recognition of the anniversary of independence for five Latin American countries. Since then, it has grown into an entire month, and each year Americans observe it over the same span of dates. The designation is meant to celebrate the histories, cultures, contributions and important presence of Hispanic and Latino Americans to the country. Hispanics have had a profound and positive influence on our country, and their impact should be acknowledged throughout the month. Sonia Nina Mullis, our Co-Owner and COO, was born and raised in the Dominican Republic. She believes that growing up in a Hispanic family taught her several valuable lessons that have shaped her into the person she is today, and particularly values the strong commitment to family, faith, hard work and service that’s central to Hispanic and Latino culture. Sonia and her husband Dr. Jonathan Mullis, Owner and CEO of the clinic, have two beautiful bilingual girls that enjoy eating both Dominican and American food and love to dance! We also really enjoy serving the Hispanic and Latino population at PT Doctors. In our history of treating many different patients, we’ve noticed that many of our Hispanic and Latino patients are some of the most dedicated to their treatment. We’ve seen that they are hard working and driven by their goals, so they can get back to caring for their family or to their jobs. Seeing this hard work and dedication has made it a pleasure to treat these patients, and their positive impact has also played a role in enriching our culture at the clinic. Regular physical activity and maintaining good overall health is especially important for Hispanics and Latinos, and we can help with recommendations here as well. At Physical Therapy Doctors of Florida, we can assist these patients in order to prevent the development of many health conditions. We will address any underlying problems they might have and determine which activities are best suited to fit their lifestyle and abilities. Our therapists will work to empower each individual to get the greatest possible health benefits out of the things they enjoy doing in a manner they are most comfortable with. In addition, we will always consider these patients’ cultural, religious and personal preferences when making any treatment decisions, and communicate openly with them during this process. We proudly honor the Hispanic and Latino community and encourage all of our other patients and readers to observe the importance of National Hispanic Heritage Month as well. For any injuries or painful conditions you may be having, contact Physical Therapy Doctors of Florida in Bradenton, FL at 941-264-1414 to schedule an appointment. 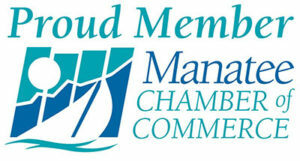 For more information on National Hispanic Heritage Month, click here.